Very few events catapult to status of “I remember when…” It takes an image, usually one of tragedy, and brands it into our memory. I remember being on a family trip in Corpus Christi when Elvis died. I remember being at work when the World Trade Center was bombed in 1993 and when it fell on 9-11-01. 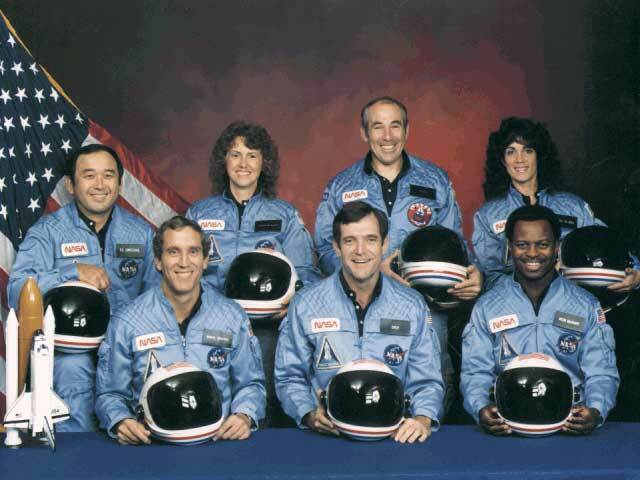 I vividly remember being at home watching the Challenger take when tragedy struck. It was my 3rd year at UTA and I was taking 18 hours and working full-time. Burning the candle at both ends and happy to do it. I was ironing some pin point cotton shirts for the day while my girlfriend was plopped in a bean bag I had watching the take off. This take off had a neat feel to it, as we were sending the first teacher into space – Christa McAuliffe. We watched the pomp leading to take off and them the grand launch itself. It was truly magnificent. Like everyone else watching, when it exploded, we were unsure what had happened and knew it could not be good. That pang of pain hit my gut and I began to cry. The formal announcement had not been made yet, but the television coverage was so clear. In moments it was confirmed what had happened and America began to mourn one of its greatest losses. McAuliffe and fellow astronauts Francis Scobee, Michael Smith, Judith Resnik, Ronald McNair, Ellison Onizuka and Gregory Jarvis were bringing another level of excitement to NASA. This was the time of Ronald Reagan, Star Wars Defense System, and the Space Station Freedom. NASA was the agency in the federal government that illustrated raw passion for exploration and growth. However, Congress was placing the squeeze on the agency during these times and many wondered if the budget issues facing NASA were a direct cause of the Challenger explosion. Commander Francis Scobee had been in the Air Force since 1957, working his way through the ranks. The Challenger flight was his only one as Commander. Captain Michael Smith, a Navy pilot who had flown missions in Veit Nam, was the last voice heard during the flight. Engineer Dr. Judith Resnick, the first woman as well as the first Jewish woman in space, was recruited into NASA by actress Nichelle Nichols. 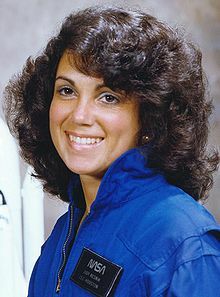 Resnick was on the maiden voyage of the shuttle Discovery and caught viewers attention as her long hair flowed in the weightlessness of space. 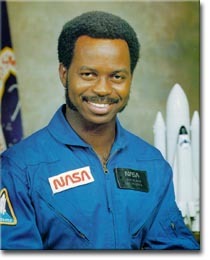 Physicist Ronald McNair, the second black man to fly into space, was a Ph.D. graduate of Massachusetts Institute of Technology and had a national following in the science community for his work in laser physics. Lt. 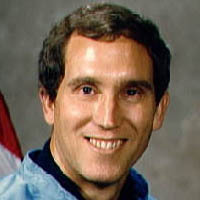 Colonel Ellison Onizuka was the research engineer on board Challenger. Onizuka had been in the US Air Force since 1970 and had served as a test ilot and flight test engineer. 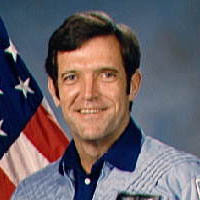 He was selected for NASA in 1978 and had also flown on Discovery.Gregory Jarvis, a civilian payload specialist from Hughes Aircraft, had been in the USAF from 1969 to 1973 – when he was honorably discharged. Jarvis was an engineer by trade and was on the flight to help keep the shuttle balanced. Christa McAuliffe, the teacher from New Hampshire, was a new step forward for NASA. One of 11000 applicants for President Reagan’s Teacher in Space Project, McAuliffe literally represented the best of the best of public educators in the sense of being able to take the space experience to the classroom for young minds. The project was designed to get more public interest in NASA, as Reagan saw the agency as a critical component of the nation’s defense. 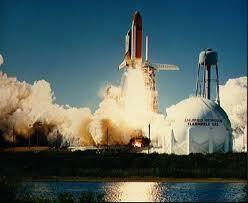 The Challenger tragedy was more than an explosion – it was the beginning of slow descent of the agency. The explosion caused Congress to rethink the Space Station Freedom and it lost funding and ultimately went away. The space shuttle program was shelved for nearly three years before flights started again. During the 1990’s the agency floundered in mediocrity as the Bush 41 and the Clinton Administrations strangled the agency’s funding. The movie Armageddon put some excitement back into NASA as the potential saving grace for the world in the face of a mega disaster. However, the explosion of the shuttle Columbia undid all the good feeling the movie had put in public interest for NASA. The Columbia explosion in 2003 pretty much placed the final nail in the space shuttle’s life expectancy. The shuttle programs ceased in 2008 and the Obama Administration killed any thoughts of returning to the moon with manned space flight in 2009. While probes are going to space to do research, the US has no current programs to send manned flights to Mars, the stars, or beyond anytime. The Challenger crew was working to take NASA to the next stage. Their deaths, along with those from all other space missions, serve as a reminder that frontiers are not conquered or claimed without sacrifice. They were, then and now, true patriots to the cause for our nation. Hopefully, NASA will one day return to the status the agency was designed for and one the nation needs. 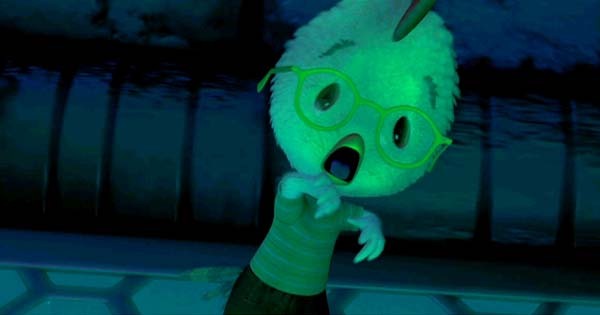 Everyone knows the story of Chicken Little and how he thought the sky was falling, his companions Henny Penny and the sort, and how they almost fell prey to Foxy Woxy. A children’s fable that illustrates how one should establish facts before running ones mouth. It’s always been a children’s fable. There seems to be a drumbeat coming out of a few select “research” firms about the impeding “…collapse of the US Dollar”. Now before I tear into these dolts, understand I recognize full well what the 111th Congress and Obama have done to this great nation. The spending has to be cut, we have to pay off our debt, and we have a generation of work ahead of us. I know this. Had it not been for the resurrection of the Conservative Movement in this nation and the culmination of the elected results on 11-2-2010, there is a good chance I might have been right out there in desperation. But the Movement has started, we have had the first round of election results, and I have great faith in this nation. While we have suffered and suffer still under Obama, great times are ahead of this country. I believe that with all my heart and the day I quit believing in it will be the day I leave America. The same for the Dollar – the day we all quit believing in it will be the day of its demise. Period. Does that mean fluctuations will not occur? Hell no! Currency availability, supply & demand of US goods, debt, interest, war. etc – all of them have an impact on the value of the Dollar. Last week, GOPUSA.com sent me an email promoting research firm Stansberry & Associates link : http://www.stansberryresearch.com/pro/1011PSIENDVD/PPSILCCR/PR. I put it on the site for reference, but I would save you the 15 minutes of fear mongering this message brings. The author provides no reference points for his theories for you to research, but an assumption of blind faith. I waded through about 90% f the crap he prophesied and I finally turned it off. You must remember that these people make money by you subscribing to their service. They are not investment advisors who actually get paid to manage your money. I thought about blasting on GOPUSA, but it did not seem to garner any traction anywhere so I left it alone. Today, a good friend of mine who chairs a very conservative group here in Texas forwarded this message and I realized a counter message has to be put out. Theory – The US has way too much debt and will not be able to make the payments. Fact – We know we have too much debt, thus the reason for the election results of 11-2-2010. America is still conservative and will not stand for this. Will the debt be corrected overnight – no. Can we make our payments – yes, but we must make cuts now. Reference initial actions of the 112nd Congress. Theory – The Dollar is no longer being accepted in places in the US and around the world. Fact – What a bunch of horse manure. I just got back from the Middle East in November. Went to Dubai, Abu Dhabi, and Saudi Arabia. All of them love Dollars. The energy systems company I am a part of also does business in Canada, South Africa and New Zealand and they all deal in Dollars. We have material supply chains and research facilities we communicate with in the UK, Holland, and Germany and they all deal in Dollars. Matter of fact is that they know the Dollar is stable because of our country’s ability to make political and economic change to keep the currency the most stable in the world. Don’t believe me? Watch the currency exchange reports when political tensions rise in areas of the world that have money and they dump their currency for the Dollar for value and liquidity. The reason the Dollar is the World Reserve Currency is because the Brits screwed up with the Pound after WWII and became socialists. The US emerged from WWII as the world superpower with freedom and economic prosperity. The economic landscape changed after WWII and the Dollar was established as the World Reserve Currency. A whole lot has to happen before that is changed. While there was some whispers that the Euro might have that possibility, the Euro is now very unstable due to the bailouts it has engaged in. It won’t be the Yen or the Won – Japan and S Korea had that chance and lost it. While China has the best chance with the Yuan, they have massive valuation issues on their own. See http://www.google.com/hostednews/afp/article/ALeqM5iOQ6DdQl_7knQdoP7HJ5t2JuAhaQ?docId=CNG.4f8b988b9ebd1a5c9a9eba1574013bc8.1e1. Fact – This is nothing new. There is no law that you have to accept the Dollar, but it sure makes good cents (pardon the pun). Most of the areas that accept other currencies usually have a high immigrant population that are very transient and do not take the time to convert to the Dollar. If you serve a segment of the population that comes from Europe and goes back and forth on a regular basis, why not take the Euro? This does not mean the Dollar has been supplanted. Fact – More horse manure. This guy should be selling subscriptions to farmers, not investors. There are loads of reasons Yugoslavia went under, most of them related to going socialist after their break off from the former Soviet Union in 1948. Wikipedia actually has a great summary at http://en.wikipedia.org/wiki/Economy_of_the_Socialist_Federal_Republic_of_Yugoslavia. If you can read that and still believe the US is headed in the same direction, even with Obama, then you need professional help. Fact – Data from October 2009 is not the same when published in January 2011. The reference is from the following article that came out October 6, 2009 : http://www.independent.co.uk/news/business/news/the-demise-of-the-dollar-1798175.html. Hmm, let’s see, was America in the midst of a pure fit with passage of Cap & Trade in the House, Obamacare being floated around, massive budgets requiring borrowing out the wazoo, and a general feeling that maybe the sky was falling in the US? You bet your Aunt Susie’s fanny! The international community, socialist & commies alike, know that the US has been the beacon for economic stability of the last 60 years. Obama and the 111th Congress flat scared the hell out of everyone and nations had to start looking at back up plans. Now, are nations considering other currencies in direct transactions – yes. China and Russia started this year as a reflection of having each others currencies traded on their respective markets and due to a huge Chinese contract to import Russian oil. http://www.helpmefinancial.com/blog/china-russia-dollar-connection-concludes-cross-border-trade?page=1. However, the buzz in the energy markets is that China’s issue with the valuation of the Yuan (see reference in this article) may make this a short-lived strategy. However, any nation that wants to export to the largest economy in the world (ie the US) will deal in Dollars. Political stability under capitalism. To remain the World Currency Reserve requires democracy and the ability to make money. Barry O will find this out when he is booted in 2012. Show me another country other than England (and that is a stretch) that can do this. Not Canada, France, Spain, Japan, S Korea, Australia, or any nation from the Middle East. Not the Chinese either. They have issues with pollution, horrendous human rights issues, limited natural energy resources, and are still commies. Name one commie regime that has been the world economic powerhouse. While they have an impact? Sure, they could even pass the US for import supremacy in time. In the end, the world banking community will never fully embrace a nation that can nationalized every asset in the blink of an eye. Now if they become a true democracy, that could be another story. US Exports. There is a serious threat here as we continue to ignore the reasons companies are moving labor across US borders. Hint – it’s not the hourly wage but all the anti-business regulations adding cost, heinous insurance burdens, and taxes. US Imports. As long as we are the worlds largest importer, the Dollar will still be king. However, we have to improve our education system, reduce taxes, and have opportunity for business and commerce here in the US for all those consumers to have jobs making all that money to spend. Energy. This is the one that can upset the apple cart. Oil and Gas have been the dominant form of energy this past century, but their role will change this century. Are there lots of reserves? Yes. Are they all ready for processing and refinement? No. While liberals refuse to classify oil as “renewable”, the fact is oil is generated from the earth and continues to do so as I write. Problem is that oil has to be at a certain stage to be refined. That can take millions of years. Additionally, people forget how much oil is used in non-petroleum based areas such as plastics and chemicals. As the usable reserves begin to dwindle, and they will, producers are going to look to more profitable ways to sell a barrel. Now before you go jumping off a cliff, we have loads of alternatives for fossil based oil. Natural gas ( and we have tons) will play a more prominent role through pure gas and liquified natural gas applications (LNG). There are also emerging bio based oils that can be processed and refined for jet fuels and for fueling cars. Pure bio fuels are bio diesel and will help the demand of diesel engines. Other sources such as wind and solar will continue to improve in efficiency, production, and cost. However, challenges remain in delivery of the energy produced. The electric car front is about to announce a breakthrough in battery life that will allow these cars to go 1500 miles between charges. The good news is that the US is right there at the head of the pack in research and development of these technologies. The bad news is that the US is way behind in consumer applications for these alternative energy forms. That keeps us oil dependent and pay higher prices as the supply dwindles and producers demand more. Remember this – our nation’s currency will weather all of the issues of the times as long as we continue to believe in the principle of democracy, the policies of capitalism and limited government, and we remember to get off our collective rear ends to enforce what the Founding Fathers through the grace of God instilled in the foundation of this great country. There is a reason I blog only once a week – working at being a husband, father of 4, and running one business while getting another off the ground gets busy. Then in all of this is making time to stay active in our great nations political structure leaves only so much time for the written ramblings I so enjoy. There is another reason as well – sometimes it takes a week for the BS to die down to get the real perspectives on what is happening. The words “knee jerk reaction” have jerk at the heart of the phrase for a reason. The shootings in Tuscon that killed 6 and wounded US Congresswoman Gabby Gifford was senseless and shameless. What happened in Arizona last Saturday was not a right-wing conspiracy, it was not a hit put out by Sarah Palin (sorry Olbermann), and it was not conservatives acting out against what had been the most power grabbing Congress in US history. It was simply some drug crazed nut who went over the edge. Period. I know this because conservatives know how to win political wars at the ballot box and we did exactly that on November 2, 2010 and will continue on into 2012 and beyond. We do not need senseless bloodshed. The world has enough. Now don’t get me wrong – if the left saw an opportunity to sacrifice a political lamb to pass a law that was founded in corruption and power – I think they would do it. However, not even the Obamunists are to the point of shooting their own and other innocents to get their way. At least I don’t think….. In case your surfing Black’s Dictionary for the definition of Obamunism, you won’t find it just yet. Let me give you the proper clarification on this term as there are many. Obamunism is the The high-tax, big government, economic growth-killing, centrally planned economic regime favored by Barack Hussein Obama. 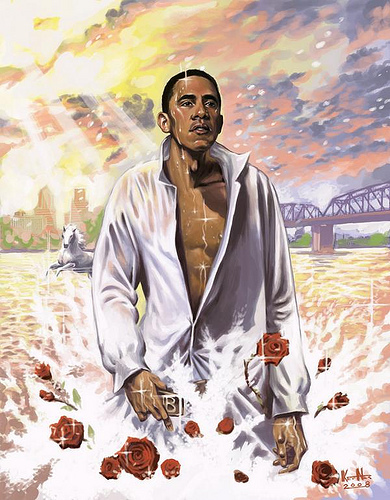 The worship of the one true God, Barack Obama. Followers of this religion believe in Change, Hope, and Change. The socialist and marxist teachings as defined by Barack Obama. The economic theories of the re-distribution of wealth by The Anointed One (see also Barry & the Obamanites). Also – a “soft” tyranny. Why is this term important to review? Well, simply put, after the fanny waxing that occurred to Barry and his bunch on November 2nd, reality set in that the next two years might be a bit bumpy. 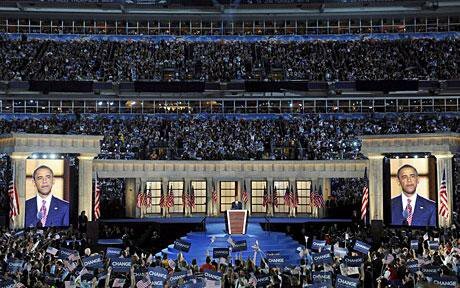 Every opportunity must be seized to ensure that Obamunism will reign for the Anointed One and his progeny. Thus the left pulled out the typical “take away the plebiscites freedom guide” that is standard issue for liberalism nowadays and went to work. Freedom Grab Numero Uno – Guns . Editors Note – imagine the following in the voice of the Wicked Witch or Nancy Pelosi, whichever works for you. 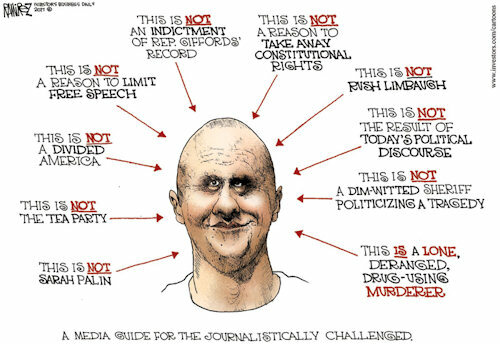 “Well, we just have to have them locked up and put away to prevent such tragedies.” Reality check is that if more people had been packing, I daresay even holstering in the open, Loughner might have thought twice about what he did or maybe someone could have shot him early in the rampage. Freedom Grab Numero Dos – Freedom of Speech. 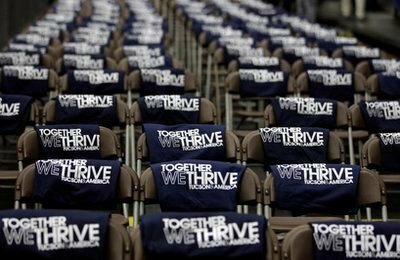 The press began to blast every form of conservatism after the shootings from blaming Sarah Palin and Rush Limbaugh, the Tea Party Movement, etc. All things conservative were at blame and we conservatives should just shut the hell up and let the liberals run things they way they want. Forget about the fact the very tirades from the press are in themselves hateful. Oh Lord, let me go puke. I bring up the Wellstone Memorial for a very simple reason, does this look like a memorial service for 6 slain innocents or a Democrat Rally? The standing up and down reminded me of a State of the Union speech. What about these little gems handed out before the speech? My friends remember this – no amount of honey that can fall from the lips of this serpent can sweeten the damage he has caused and will continue to cause to our great nation. This man and his followers will use every means available to instill and enforce Obamunism until his sorry hind end is voted out in 2012. This man will stop at nothing to re-align to mass power and steal away the foundation of this country and will exploit every opportunity to do so. Even at a memorial of 6 unfortunate souls. Civility? Was it civil when the 111th Congress was passing un-Constitutional bill after another in the face of negative public polls and opinions? Was it civil when the 111th Congress and Obama were burying our nation in a mountain of debt and selling our grandchildren to the Chinese? Was it civil when Barry O broke contract law and placed his crony union lackeys as superior creditors to bond holders? Was the lame duck, liberal led 111th Congress civil as it tried to jam more over-reaching legislation in the waning hours of its reign of power? My recall was the fact they gave us the finger. You have the right to be uncivilized in what the liberal agenda has done to this country. Sixty years of politeness got us into this mess and some up front, no-nonsense, in your face straight talk with accountability is the only thing that will save the nation. There is a time and place for civility. Show it in respect when speaking to your elders, the cleregy, and elected officials. Have lively debates and hear all sides of a matter. Be civil in your political actions against those that would steal your freedoms. Oh, and one more – keep memorial services reserved for reflection and grief. Not political rallies. When Nancy Pelosi handed over the Speaker of the House Gavel to Republican incoming Speaker John Boehner, cries and jeers were heard around the world. For conservatives, taking the gavel from her hand represented the destruction of the first piece of the communist machine that started the takeover of the US Government 4 years ago. For liberal socialists and communists in America and abroad, the November 2, 2010 pasting of Democrats brought home a hard reality that our country is still a land of conservatives. Even if they had been asleep on the couch for a few generations…..
For Pelosi, the first female Speaker of the House, her demeanor in passing the gavel to Boehner was very classy and probably struck most conservatives as odd. Pelosi has been the poster child for the socialist agenda of the Democrat Majority since its takeover of Congress in 2006. I’m sure most of us pictured her throwing the gavel at Boehner or having a screaming hissy. I know I was kind of hoping for it….. What most of America has witnessed for the past 4 years while she wielded the Speaker Gavel like Excalibur has been a nutty crusade to turn the country into a nanny state with legislation geared at cradle to grave government interference. We would call that her “Mrs. Hyde” personality. The weird truth is that Pelosi exhibited what you might call her “Dr. Jekyll” side in her attitude is passing power back to the Republicans. It’s not the first time Pelosi has shown split personas…. Pelosi was born into Democrat Party politics as one of 6 children of former US Congressmen Democrat Thomas D’Alesandro, Jr of Maryland. However, the Democrat Party of that era had no resemblance to the current one. Congressmen D’Alesandro was born of Italian immigrant parents and by all estimates of research, was a conservative practicing Catholic. Some of that rubbed off on Pelosi, as she herself is the mother of 5 children and has been married to husband Paul Pelosi since 1963. You have to say that is a conservative practice. Yet this same woman supports abortion rights and vigorously defended the 2009 Stimulus bill and its money to Planned Parenthood. 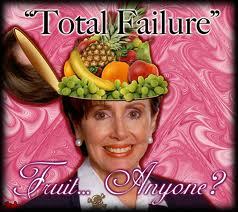 Abortion is a no-no to Christians, whether Protestant or Catholic and Pelosi’s stand drew the ire of the Pope in 2009. Pelosi began her upward career in the Democrat Party in the 1970’s, holding elected roles in the Democratic Party at both the state and national levels through the 1990’s. However, Pelosi did not seek public office until her oldest child was a senior in high school. By today’s Democrat Party standards, that is almost heretic in political stance for the woman Ms. Magazine just named “…the most effective speaker in U.S. History…” http://www.womensenews.org/story/cheers-and-jeers/110107/pelosi-best-speaker-haiti-rapes-birth-rate. As a Congresswoman, Pelosi exhibited a few more cases of “Jekyll & Hyde” flip-flops of Democrat policy politics. As Minority Party Leader, she single-handedly handed former President George W Bush his defeat of Social Security reform after his re-election citing “no crisis” in the program. This was a pure political ploy to rob Bush of reforming a program in dire need of overhaul. In 2007, after becoming the new Speaker of the House, she stood her ground not to allow impeachment proceedings against President Bush. Democrats alleged Bush “mislead” them on the war on terror and the Iraq invasion and wanted him impeached. Pelosi’s move against this would not be considered supporting Democrat Party agenda. So who is the real Nancy Pelosi? The woman who has been married for 48 years with 6 kids and kept out of public office until the kids were grown; OR the maniacal nutjob we saw as the first female Speaker of the House for the past 4 years promoting almost every liberal policy on the planet? While you ponder that question, keep in mind we are going to see more of Dr. Nancy Jekyll and Mrs. Hyde. She is elected from one of the most liberal districts in the US and is not going anywhere soon, as evidenced by the fact that she is once again Democrat Minority Leader in the House. That’s has a high probability of being good for conservatives and not so good for liberals if Mrs Hyde shows up for the 8th Congressional District of California.